You Are Listening to "Meet Me In St. Louis"
This is the Missouri State Flag. The state seal is centered on red, white and blue fields, circled by a blue band with 24 stars representing the number of states in 1821. Two grizzly bears support the circular shield. Missouri has eight states which touch its borders. They are Arkansas, Illinois, Iowa, Kansas, Kentucky, Nebraska,Oklahoma and Tennessee. Are you ready to see Missouri? The Chevy has plenty of gas, so let's go! We've arrived in St. Louis just as dawn is breaking. There's a lot to see here, but we can't dally too long as we have all of Missouri to cover on this trip. What's the first thing anyone entering St. Louis sees? That's right! 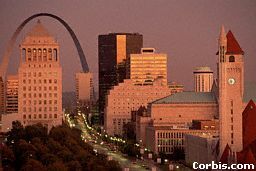 The famous Gateway Arch. 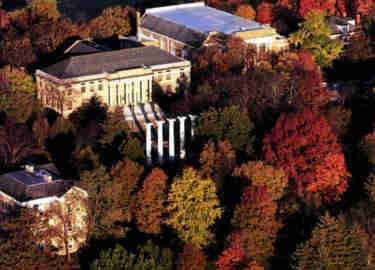 The arch is located in the Jefferson National Expansion Memorial Park (that's a mouthful, isn't it?) on the banks of the Mississippi River. 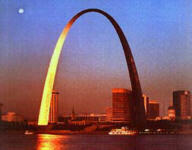 It was designed by architect Eero Saarinen. It rises 630 feet from a 60 foot foundation, and spans 630 feet at ground level. Quite a sight. We're going to take a run by the St. Louis Zoo, one of America's finest. We'll take a short stroll through the Children's Zoo section. SQUAWK!! 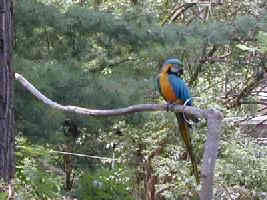 As we enter the Children's Zoo, we are greeted, quite loudly, by two blue and gold Macaws. We can't miss them - they're very noisy. Look, up in the tree, there's one of them now. This is the smallest monkey in the world. 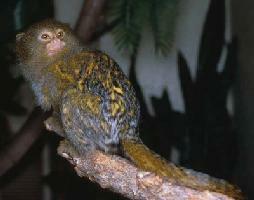 It's a Pygmy Marmoset. It lives in the forest of South America, Strangely, it's the dads who usually take care of the babies. (Sounds like a good idea to me). Look at these little beauties. 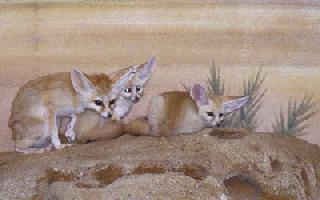 This is a family of Fennec Foxes. They are very tiny, but have huge ears. These ears help the foxes dispel heat in the African desert. Furry foot pads protect them from the hot sand. 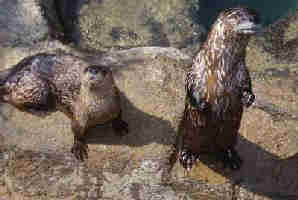 These river otters love to play as much as kids do. They are very curious about us. There are over 350 animals in the Children's Zoo, but we only had time to see a few today. 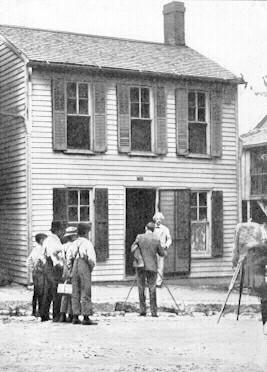 Mark Twain was born in Florida, Missouri in 1835, but his family moved to Hannibal when he was four years old. There he spent his boyhood years. His first book was "The Celebrated Jumping Frog of Calaveras County", and we're all familiar with "The Adventures of Huckleberry Finn" and "The Adventures of Tom Sawyer." 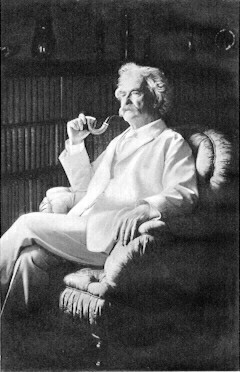 Mark Twain died in 1910. This is the home in Hannibal where Mark Twain grew up. Everyone pile back into the Chevy. We're going southwest a bit to Fulton, Missouri. 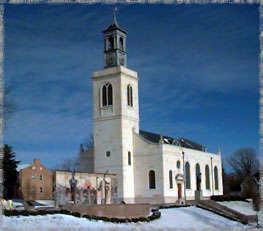 This is Westminster College in Fulton. Most of you have probably never heard of it, but it's where Winston Churchill made his famous "Iron Curtain" speech. Here we are at the Churchill Memorial and Chapel. Well, I guess we'd better get moving. Everyone in the car? OK, click on the license plate, and we'll head toward Central Missouri.